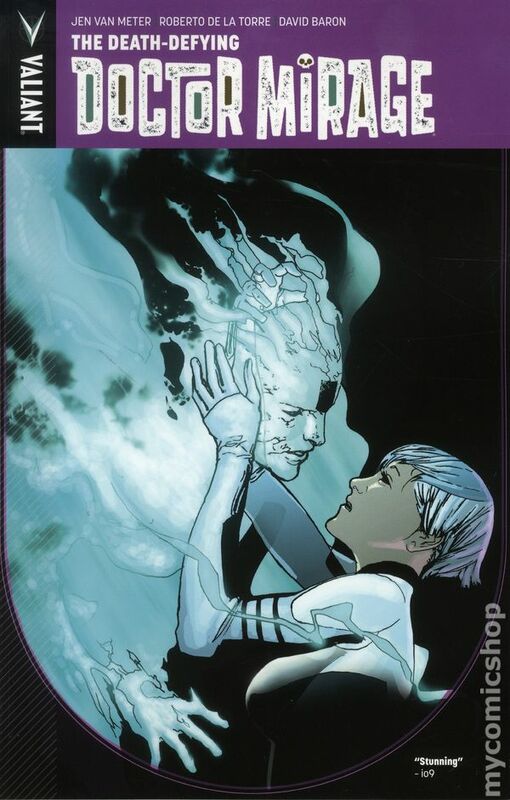 Graphic Novel (Guest) Review 53/365: Doctor Mirage – Valiant Comics Week! There are certain books, that when you read them, you know which friends are going to love them. 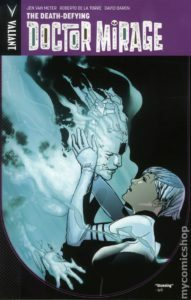 For me, I knew Jason Nisavic was going to love Doctor Mirage. So, I asked him to do a guest review for me. Doctor Shan Fong is a talented medium; not a con-artist like so many of the real-world’s exposed shysters but a real, effective traveler in the afterlife. Her torture is that she can talk to almost anyone who has passed away except for her husband, whose soul is nowhere to be found. After a touching introduction to her talents in the form of talking to the deceased loved ones of clients, Fong is hired to travel through hell in pursuit of a client’s goal. Although she reluctantly accepts the job, she also plans to use the opportunity to finally solve the mystery of her husband’s disappearance. Valiant Comics are a great blessing to a science fiction fan like myself. Odds are, if you have belonged to a fandom, Valiant is producing a work that appeals to you. Doctor Who fans can enjoy Ivar, Timewalker. Watchmen/All-Star Superman fans have Divinity. So many desirable elements combine into this character and story! Elements of John Constantine, Detective Comics, Lord of the Rings, and Hellboy promise a good time for fans of any of those works. The Fong character gives us a deep, three-dimensional person who loses none of her professional edge from suffering a deep loss. The story keeps the reader engaged and informed as we are drawn into unfamiliar worlds with strange, new rules. The journey to reconnect with Fong’s husband takes an encouraging turn in the first trade, making for a satisfying payoff for your students. The art is striking and sober, taking on a surrealistic edge in the afterlife to let us know we definitely aren’t in Kansas anymore. The demons are simply terrifying and unreal; the humans (at least the good ones) provide visual as well as narrative relief from the harshness of their surroundings. Near the end, the themes in the art carry through in creative ways, such as in the deep-red cloaks of malevolent humans which match the color of demons. I do feel it necessary to note that because a significant part of Doctor Mirage takes place in hell, there are some scary characters and actions that are not suitable for children. This is a high school+ book. That shouldn’t scare you away from using it in your age-appropriate English class, though! It’s themes and engaging story will make for a great addition to your bookshelf! I want to thank Jason, and ask you to give him a follow on Twitter. He’s an amazing Social Studies teacher that is one of the founding members of our Comic Book Teacher Clan. Hit him up for cool Social Studies ideas!